Following this path we will see the immense ravine walls, sculpted by the water. Our route ends in the picturesque coast promenade, where we will enjoy one of the most beautiful places in the north of Tenerife. We start the walk in an old volcanic hollow. 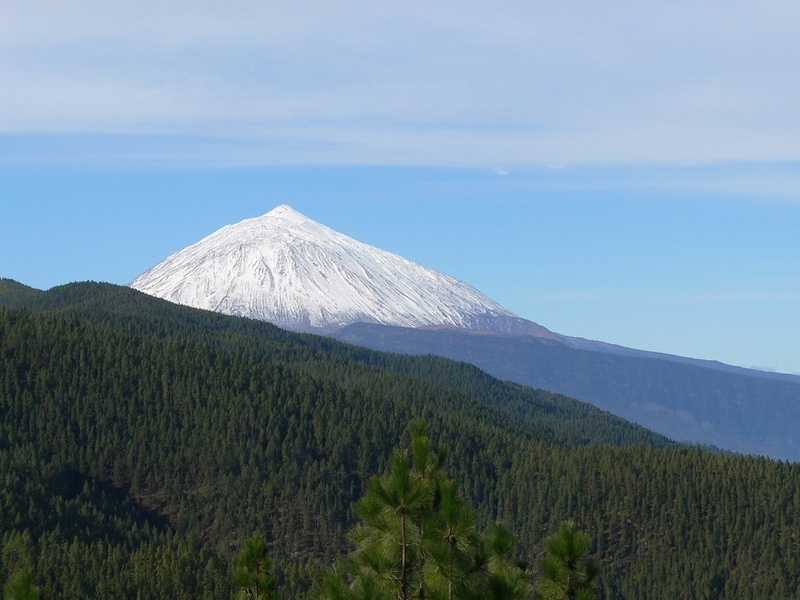 Following a circular route in the Natural Park and follow the wooden slopes beneath Mount Teide. Along the way we ascend a series of rock formations that resemble huge pipes. The dappled pine forest path with abundant eucalyptus glades lead to impressive vistas of the lush valley sweeping to the coast below whilst the sleeping giant of Mount Tiede looms benignly above. Truly a WOW moment! From the little hamlet of Cuevas Negras we will see the most outstanding views to the village of Los Silos as well as the northern coast of Tenerife. The so called Lunar landscape is one of the most spectacular places on the island. It is situated high within the natural park, which circles the Teide National Park and is a perfect example of the effects of erosion on volcanic landscapes that give rise to the strangest formations. Lunar Landscape is an area of pumice and tough sediments that the occasional water torrent washes down the slopes into the valley. We take a break from hiking today and can’t think of a lovelier setting than the Spa. Enjoy the outdoor pool in its spectacular setting or indulge in one of the many treatments this wonderful spa has to offer. This evening we meet for a wine tasting session as no trip to this island is complete without sampling the fine wines it offers us. We travel towards the rocky monuments of “The Island” and ”The Cathedral”. The route is very easy and reveals for us a flora and fauna unique in the world. Mount Teide is the highest summit in Spain at an altitude of 3,718 meters. This dormant volcano is situated in the National Park in the center of the island of Tenerife. The park contains a wide variety of cones and domes, lava flows and caves that form a spectacular range of colors and forms. We gather tonight for our farewell dinner in the elegant dining hall of our hotel. But before we say our final goodnight, join us on the patio with our Astronomer for a star gazing session under the spectacular star filled Tenerife sky.